Ever wondered why so many Big Leaguers choose Marucci? The answer begins and ends with quality. 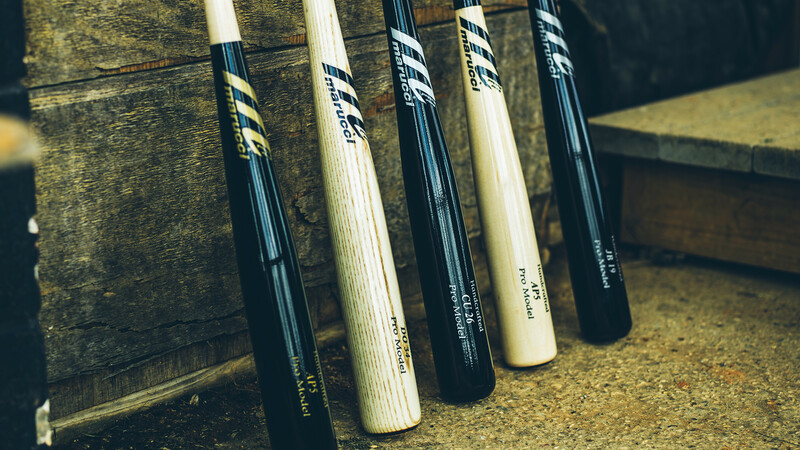 From the wood selection to the handcrafted finishing, dedication to quality is always No.1 in the Marucci Wood Bat Process. By controlling our own wood supply and maintaining our own mill in Pennsylvania, we ensure that only the highest-quality maple or ash makes it to our facility in Baton Rouge. From there, each billet is individually examined for perfect grain lines. Billets with warped or inconsistent grain lines are never used in Pro Model bat production. Using a large lathe, those flawless billets are cut into bats, one at a time, according to length and weight, and tailored to each player’s specific needs. Next, those bats are hand-sanded to perfection. Sanding removes the weight that will be replaced during the painting and finishing process. Since Big Leaguers are precise to the hundredth of an ounce of their desired weight, we must be as well. After sanding, bats are painted to preferred color. While Marucci offers a wide variety of bat colors, Big Leaguers may only use black, brown, cherry, grey, or natural colored bats. Bats are then hung to dry before personalization and finishing. Player names and model are engraved on the barrel, a label is applied to the taper, and the knob is stamped with either the size or personalized initials. Before packaging, each bat is weighed again to ensure the desired weight down to a tenth of an ounce. The bat is also examined for any external flaws such as scratches, smudges, paint chips, or engraving errors. Finally, bats are sealed in an air-tight plastic to avoid weight fluctuation during shipping. Then they’re boxed, labeled, and sent to a Big League clubhouse. Handcrafted consistency and precise attention to detail has built Marucci’s reputation within the Big League community. Those players trust us to deliver a superior-quality bat that meets their exact specifications, and we honor that responsibility with pride in every step of the process. If Big Leaguers trust the process, shouldn’t you?